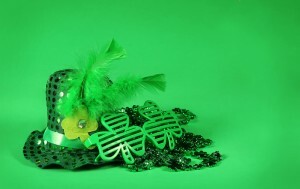 Saint Patrick’s Day is less than a week away! It’s time to get your green on and celebrate Ireland’s most well-known saint, who died on March 17th in the year 460, or 493. Scholars are still debating which year is correct, but had he died in 493, Saint Patrick would have notched an impressive 120 years under his belt. We’ve done a little Baltimore research to bring you some of the best events the city has to offer to celebrate this year. Whether you head downtown to catch the parade, or toast to Saint Patrick’s longevity in one (or several) of the city’s best bars, we at Observation Baltimore wish you a very happy and safe Saint Patrick’s Day! The St. Patrick Parade has been a staple of Baltimore’s Saint Patrick’s Day celebrations fo rmore than 50 years. This year the event will be held on Sunday, March 15, starting at 2 PM at the Washington Monument in Mount Vernon and heading down Charles Street to Pratt Street and Market Place. Get there early to catch the 2015 Kelly St. Patrick’s Day Shamrock 5K at 1:15 PM, at Charles and Franklin Streets. What would Saint Patrick’s Day be without a visit to some of Baltimore’s best bar neighborhoods? There are a number of bar crawls happening in the days leading up to, and on, Saint Patrick’s Day. Check out the Federal Hill Irish Stroll on Saturday March 14th, St. Paddy’s Baltimore PubCrawl in Fells Point on March 13th, 14th, and 17th, and Claddagh Pub’s 20th Annual Meet in The Street in Canton on March 13th and 14th. Drink might get more attention, but Irish food is just as much a part of the Saint Patrick’s Day celebration. Many of Baltimore’s Irish-themed establishments are offering specials on Irish food and drink in the days leading up to, and on, Saint Patrick’s Day. There are far too many to list here, so head on over to Baltimore Magazine to learn more. This entry was posted on Wednesday, March 11th, 2015 at 6:06 pm. Both comments and pings are currently closed.